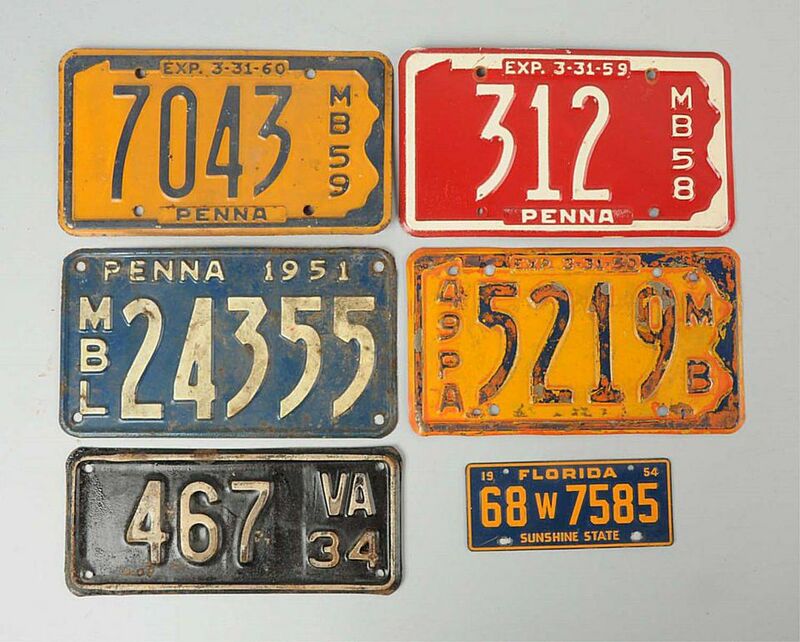 You might actually be surprised to find that there are people in the world who will fight and scratch at an old dusty barn auction to get their hands on particular license plates for a collection, relishing the hunt along the way. This is the type of collector dedicated enough to join The Automobile License Plate Collectors Association (ALPCA). If you visit the ALPCA website, you’ll note the home page touts the group as "the largest and most respected club for license plate collectors and aficionados all over the world." Yes, this is most definitely a hobby folks enjoy globally. As an organization, the group has a newsletter, a "hall of fame," and they encourage license plate meet-ups for collectors. “License plate collecting can be a challenging and complex hobby. There's much more to it than simply having a box of old tags in the attic, or nailing loot from the local junkyard to the walls of a garage or barn—but these are good starts,” the ALPCA site previously reported. In other words, you can start off just picking up antiques here and there, including license plates, and end up hunting these collectibles down with passion before it's all over. The oldest license plates date back to before 1900, even though the Model T or "Tin Lizzie" didn't come about until 1908. Those older plates are hard to come by now, and worth a good sum in collecting circles. In addition to age, collectible plates are sought for their color, origin, shape, condition, and the history that goes along with them, along with other attributes. “There are so many different varieties of license plates in existence that collecting them all would be an impossible task. Most collectors set goals of collecting plates that are somehow close to their hearts. Perhaps that would be a collection of plates from a single year, or maybe from a certain state or town. Some people even collect plates from foreign countries that no longer exist,” according to ALPCA. Plates used on motorcycles and other types of vehicles are also an option for collectors, although not the focus of ALPCA. Where would you go to start a license plate collection if your interest has been peaked about that sort of thing? Junkyards, dumps, and auto scrap yards can be an alternative for affordable plates. But you’ll also find them, perhaps for a bit more money, by shopping at antique stores, flea markets, automotive swap meets, and thrift stores. ALPCA even lists regional license plate swap meets on the organization's site. Country auctions can have license plates in the mix among their varied lots, but don't be surprised if you have to fight to get them. It's not uncommon for heated bidding over old plates to take place in these settings, as mentioned above. According to the ALPCA site, look for pre-1969 plates as a general rule. Newer plates won’t be nearly as valuable in the long term unless they are from a hard to find state, like Alaska or Hawaii, or specialty plates: handicapped, ham radio, police, government officials, and the like. Keep in mind that older plates are generally going to be more expensive. If you find a really old plate at a reasonable price, buy it when you see it. Even if you don’t want to keep it for your collection, you can sell it for more collecting cash or trade it with another license plate collector who would love to have it. Try to buy quality plates that are in good condition. Rusty, bent and generally beat up old plates might be great for decorating a patio or game room, but avid collectors want plates in good to excellent condition with nice paint still in place. And, keep in mind that truck and trailer plates aren’t worth as much as passenger car plates in most cases. Prices can range from a few dollars to a few hundred dollars in the license plate market so it pays to have a reference guide handy if you’re going to get serious about collecting them. It’s worth tracking down a copy of License Plate Values by Bob Chrisler and Chuck Chrisler. How Much Are Old Board Games Worth?